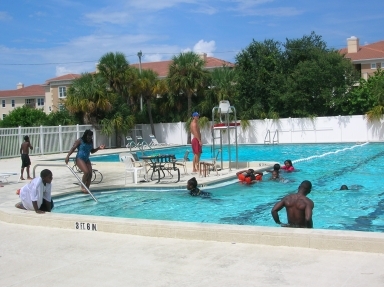 Students demonstrate swimming skills for participation in the data gathering phase of the research. 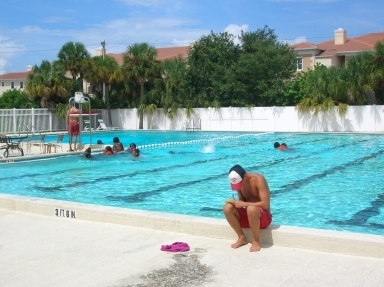 Following the swim test, students who demonstrated sufficient swimming skills participated in field data gathering on Boca Ciega Bay. 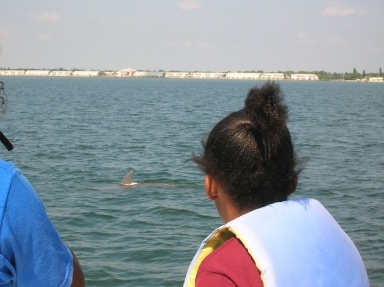 They used two Canon EOS 2D digital cameras with 400mm image stabilized zoom lenses to capture digital images of the dorsal fins of dolphins sighted during the outing. 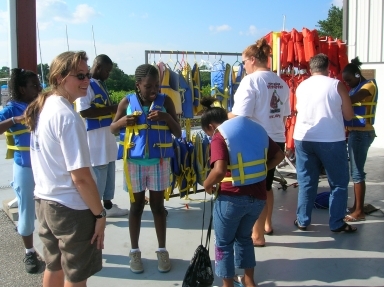 gives a brief overview of data gathering procedures and safety measures for the research cruise. 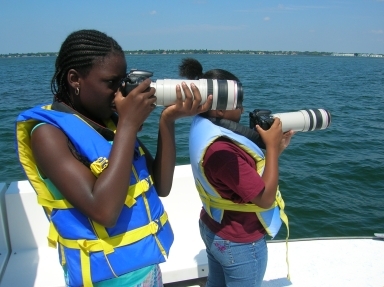 Right: Students take aim to capture digital images of dolphin dorsal fins. 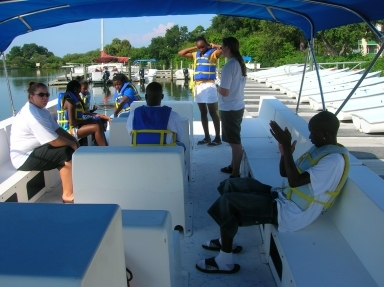 Following the boat trip, the two course modules of approximately two hours each, were delivered to a group of approximately twelve students in a two day sequence. 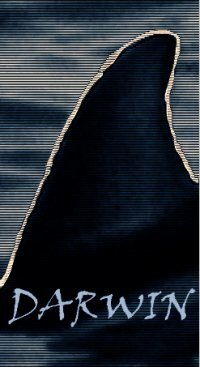 The first module introduced basic image techniques and a brief discussion of the underlying mathematics that makes it possible. 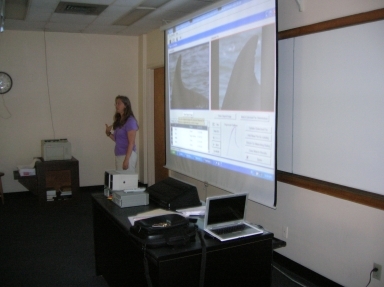 The second module in the sequence introduced material on the biological aspects of the study of dolphins and included the use of the DARWIN software to identify dolphins based on their dorsal fin outlines. 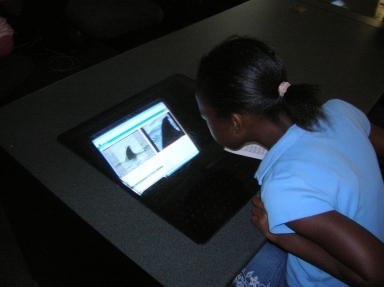 Right: A student uses the software to identify dolphins from the images acquired on the boat trip. 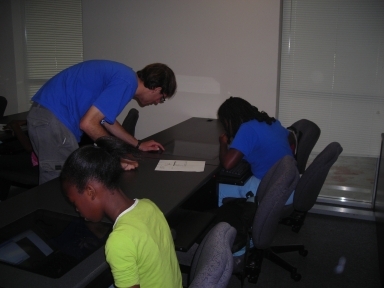 Right: Undergraduate research assistant, Scott Hale, assists students in using the software. 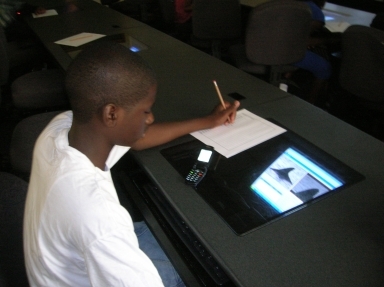 Overall the students seemed enthusiatic and engaged in the process, from data gathering to image analysis. 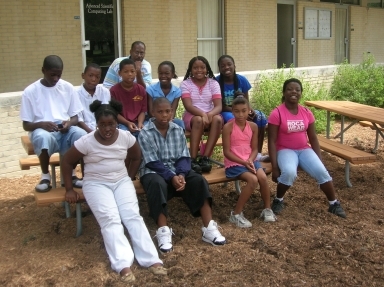 and its applications for the study of marine mammals - Summer 2008.